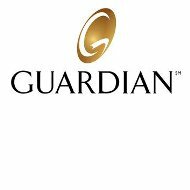 Westward Insurance Company is part of Westward Financial Strategies, Inc., along with The Guardian Life Insurance Company, a Fortune 500 company in New York. They do not offer health insurance as a stand-alone product or as part of these packages. Locate a company in your area that sells health insurance. Click here and enter your zip code for a free list of health insurance quotes from several companies. Westward Insurance Company has been in business and located in the St. Louis, Missouri area for over 80 years. The company’s philosophy embodies the ideas of the explorers, Lewis and Clark, who demonstrated teamwork, careful planning, and organization as they journeyed westward. Today, Westward Insurance Company and its parent company, Westward Financial Strategies, pride themselves on their dedication to their clients. The company is currently led by president and Chief Executive Officer, David Boykin. Be careful not to confuse this company with Westward Life Insurance Company (WLIC), an Irvine, California based company that was recently sold off as a shell because it no longer retained any of its assets. The website for Westward Financial Strategies contains a link which you can use to get a free rate quote for either a life, disability, or long-term care insurance plan offered by Westward. First, you must click on the link for the type of plan you are interested in and then complete and submit an online form providing the company with some basic information. A customer service representative from Westward will contact you. The Living Balance Sheet is a patented development of Westward Financial Strategies, Inc. and is used to help clients determine if they have enough financial protection in terms of insurance and financial security as they age. It shows them their assets and insurance holdings in an easy to follow graphic chart that breaks down each individual’s net worth. Additional information and brochures about The Living Balance Sheet are available on the company’s website. Ratings and reviews for Westward Insurance Company or Westward Financial Services, Inc. could not be found at any of the reliable ratings providers including A.M. Best, Standard and Poor’s, or the Better Business Bureau. Although this company has been in business for a lengthy amount of time, the availability of information about it and its products is of concern. Prior to considering insurance from Westward, it would be advisable to search further for information about this company. Westward Insurance Company and Westward Financial Strategies, Inc. believe in giving back to the greater St. Louis community in which they are located. Their service focus is based on helping local needy families. In December 2010, they donated a wide array of goods, including clothing, gift cards to grocery stores for food, and toys for the children for the holidays, to a deserving family in St. Louis. Additionally, they donated space heaters to families struggling to heat their homes. Find reputable companies in your area that sell health insurance products. Click here and enter your zip code to get a free list of rate quotes from several health insurance providers.